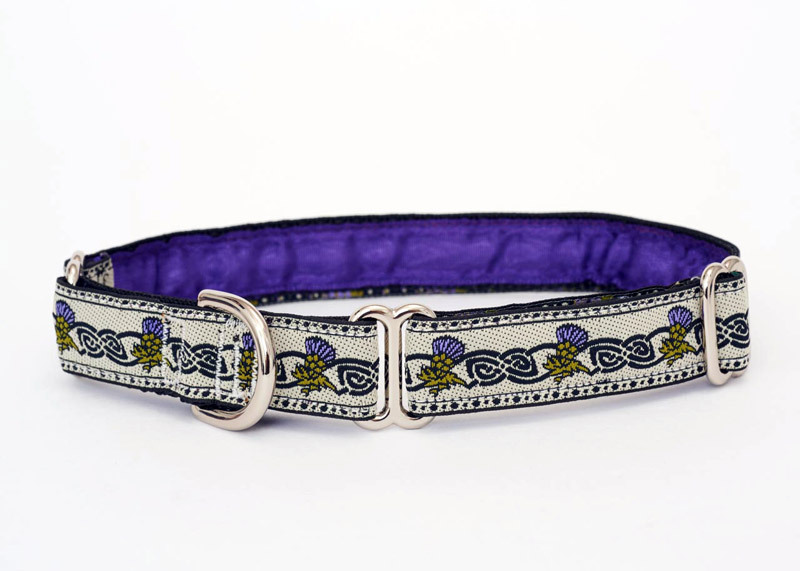 Our very own Thistle design is well-loved in red and blue, now it's NEW in purple and ecru! The thistle is the floral symbol of Scotland, both delicate and tough, and it is depicted here amidst strong Celtic knotwork. The America's Cup artwork provided the inspiration for this lovely ribbon. We chose the yacht America, the J boat yacht Shamrock, and the clipper ship the Cutty Sark. 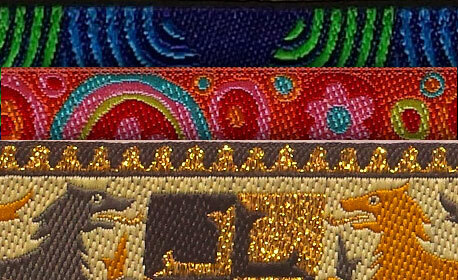 Mackenzie's dog collars and leashes are known for their intricate and unique designs. 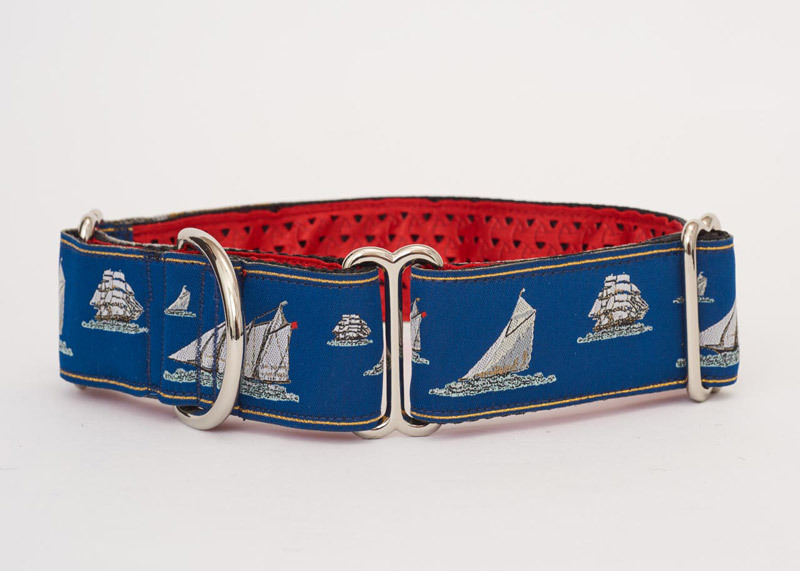 Mackenzie's dog collars and leashes are made of durable materials, hand-stitched for quality. Each collar also comes with a complementary inner satin lining for added comfort for your pooch. We pride ourselves on delivering your products as quickly and efficiently as possible without sacrificing quality. Should you have any problems, our friendly staff is ready to help you. Wow! That was fast! Thanks so much! I told Jean what great quality collars you make & how well they hold up. I hope my Dog Oden can wear this new one for another 8 years! I rave about them to everyone I know with a dog. Hello wonderful MacKenzie staff. I received my order today. 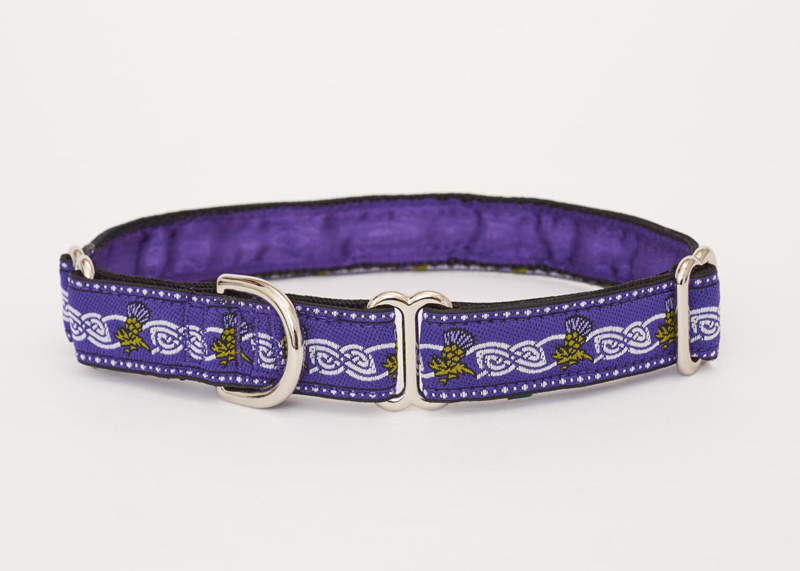 The rose vine collar and leash are so gorgeous! 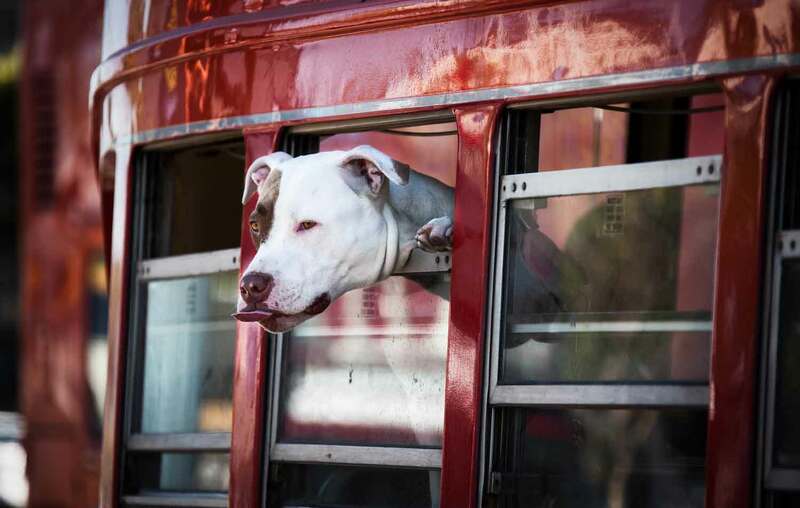 All the other dogs are going to have collar envy! Thanks so much for making my borzoi girl look even more beautiful! I received my order of 3 dog collars last week and let me say they are even better than they look on the website. I am a veterinarian and one of my clients brought her dog in wearing one of your collars. It really caught my eye and also several of the technicians. I asked where she got it and found your website. 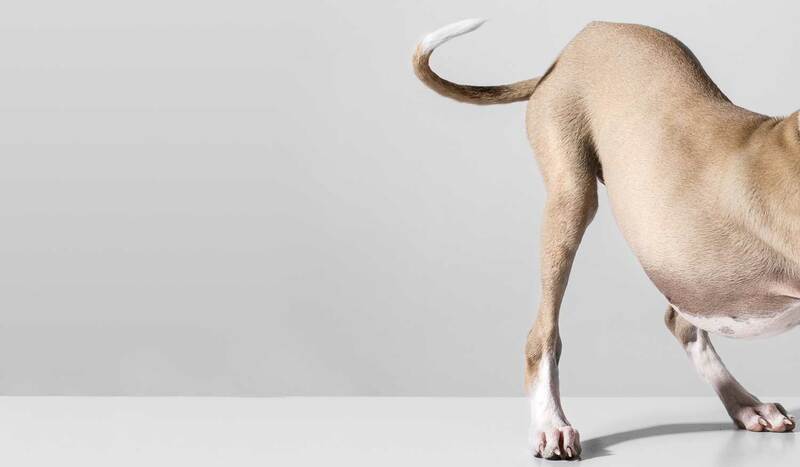 The collars are beautifully made and very durable. Thanks again for such beautiful craftsmanship. 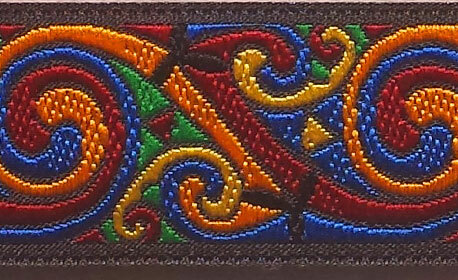 Your Book of Kells ribbon is lovely and so very special. 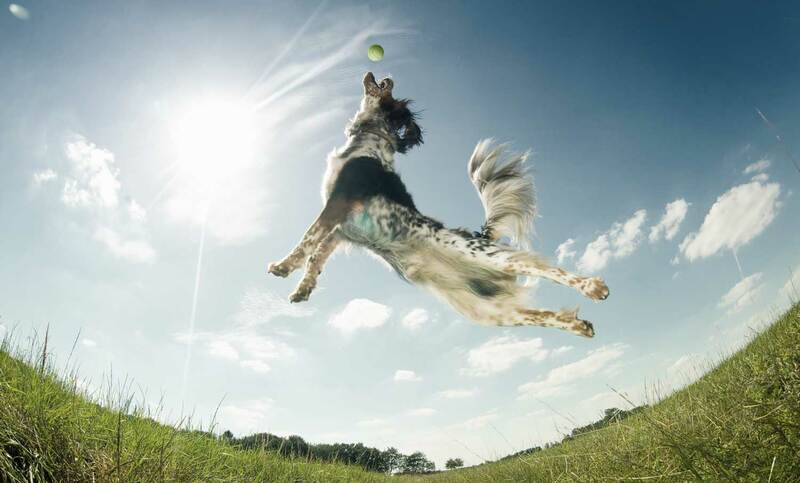 Our Irish Red and White Setter, Champion Moonstone Enya will look gorgeous in her new collar. She is 7 years old now and loves to look pretty. Our 6 year old Gordon Setter, Moonstone Highland Piper is sporting your Gordon Dress Plaid collar. She too parades around looking beautiful. We are long time fans; thank you. 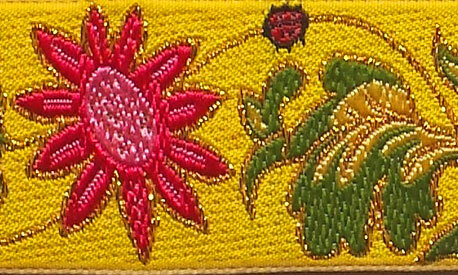 Copyright © 2006-2019 Mackenzie Couture Accessories / All rights reserved.